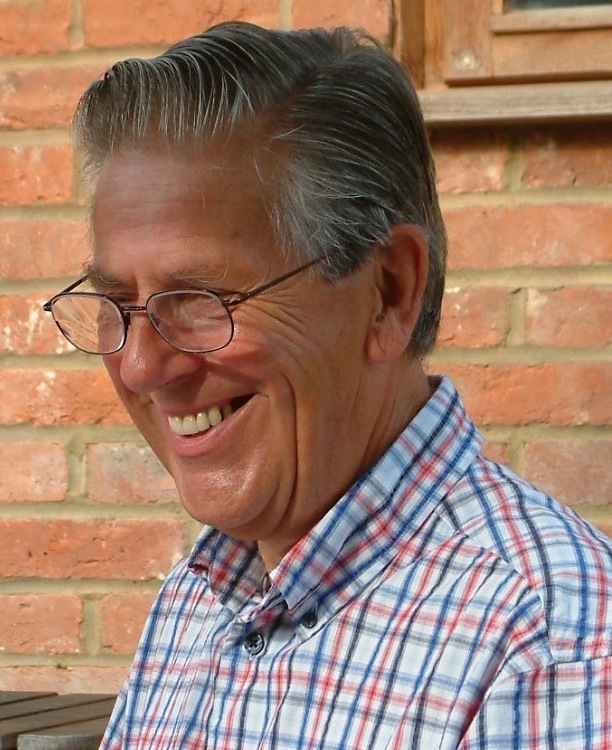 Victor Watson began to write children's fiction after a long career as a teacher, both in schools and at Homerton College, Cambridge. He was involved in the setting up of Seven Stories, the National Centre for Children's Books in Newcastle. 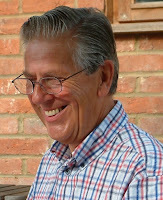 He has edited many critical works on children's fiction, including the Cambridge Guide to Children's Books in English (CUP 2001) He is the author of the Paradise Barn quartet and his latest novel is called Operation Blackout. All his fiction is published by Catnip Press. See more at Victor's dedicated website for the Paradise Barn books. I’d known about South Riding since my undergraduate days, but I didn’t get round to reading it until earlier this year, when I spotted a compact 1949 hardback edition in a charity shop. I bought it – and was immediately hooked. The story unfolds in such a measured and unhurried way that I was able to savour the reading of it over many days. It has a wide cast of characters from all levels of society, the landscape is vividly evoked, and the narrative voice is both compassionate and uncompromising. The dialogue is good too. On the dustwrapper the author is quoted: ‘there is one fundamental truth about human nature – we are not only single individuals, each face to face with eternity and our separate spritis; we are members one of another.’ It’s one thing to say that, and quite another matter to demonstrate it. But that ‘membership one of another’ is what South Riding creates and acts out – in a rural community, set in the fictional South Riding of Yorkshire, during the depression of the 1930s. Many stories form part of the bigger story, all told with a direct and un-showy realism, effortlessly intertwined in an entirely convincing world. Here, there is no artificial thematic tidiness: people’s lives are muddled and imperfect, randomly affected by their siblings, their love affairs, their weaknesses, their neighbours, their rivals, their own hidden motivation. And – since this is also a novel about local government – the characters’ lives are also shaped by decisions made in council meetings and planning committees about housing conditions and scholarships. I read this book with a sense of homecoming. This is where I began as a serious novel-reader, with Dickens, Trollope, Thackeray, and Hardy. It has a hugeness of scope and conception, inviting comparisons with George Eliot’s Middlemarch. It reminded me how far most modern fiction has moved from such imaginative spaciousness. I estimate that South Riding is about 176,000 words long – but it had to be a long novel because it seeks to convey a comprehensive understanding of an entire community. It is a socialist view, as you would expect from an author who was for most of her life a close friend of Vera Brittain. I felt as I read it a determined writerly thrust, a brilliant craftswoman’s purposeful and unhurried faith in her narrative vision, and her belief that – in spite of muddles and failures, setbacks and bad fortune, wickedness and greed – communities are capable of edging imperfectly and cautiously forward to improve the lives of individuals. 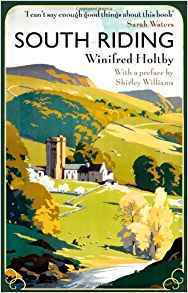 That’s what Winifred Holtby believed herself to be, a craftswoman. ‘I have no illusions about my work,’ she wrote. ‘I am primarily a useful, versatile, sensible and fairly careful artisan.’ Perhaps – but South Riding is an intelligent and absorbing novel, in its values, in its style, and in its conception. I loved it. And it’s written in proper sentences! South Riding is published by Virago. South Riding is one of my favourite novels, and one that I return to regularly. Sarah Burton is such an inspiring woman, a real heroine.